Not many of us are lucky enough to experience all this incredible world has to offer. While much of the population sits indoors on the latest technology, beautiful landscapes blanket the Earth’s surface, only to be seen by the luckiest of us. Just as the human body is a truly amazing creation, this is a truly amazing planet. 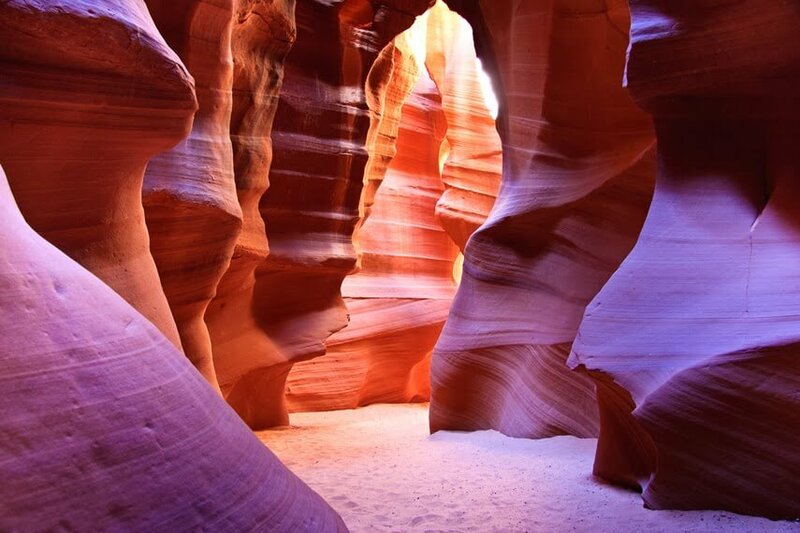 Antelope Canyon is the most photographed slot canyon in the American Southwest. It is located on Navajo land near Page, Arizona. A terrace is a piece of sloped plane that has been cut into a series of successively receding flat surfaces or platforms. These are terrace rice fields in Bali, Indonesia. Derweze is a village and area rich in natural gas. While drilling in 1971, Soviet geologists tapped into a cavern filled with natural gas. The ground beneath the drilling rig collapsed, leaving a large hole with a diameter of 70 metres (230 ft). Leshan Grand Buddha is a famous cultural and historical spot in Sichuan Leshan, China, which is the world’s biggest stone sitting buddha statue. Odle mountains chain separating the Funes valley from the Gardena valley, taken from the Seceda refuge, Italian alps.